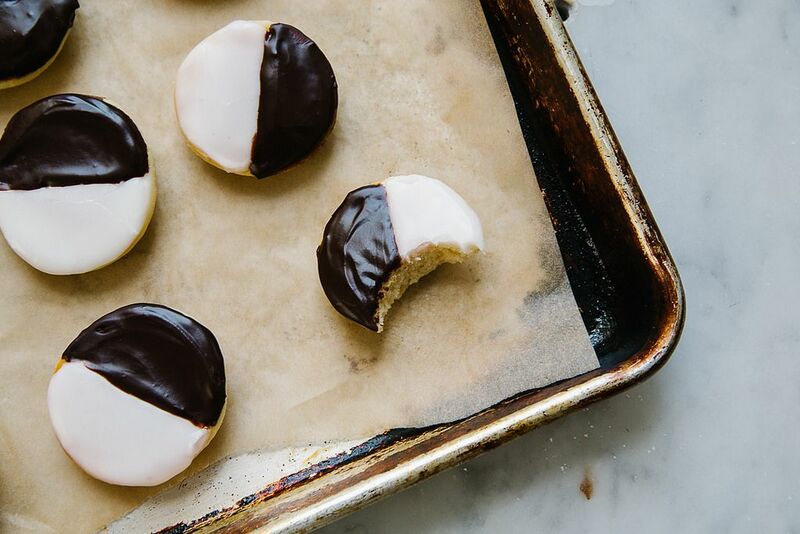 I have to admit, I’d never heard of black and white cookies before I moved to New York 7 years ago, but I quickly learned that a good black and white cookie is a beautiful thing: soft and cakey, with a nice balance of chocolate and vanilla. Unfortunately, despite their iconic status, most black and white cookies out in the wild are shrink-wrapped, 5-inch behemoths that are more than a little stale and covered in thick, sugary icing. 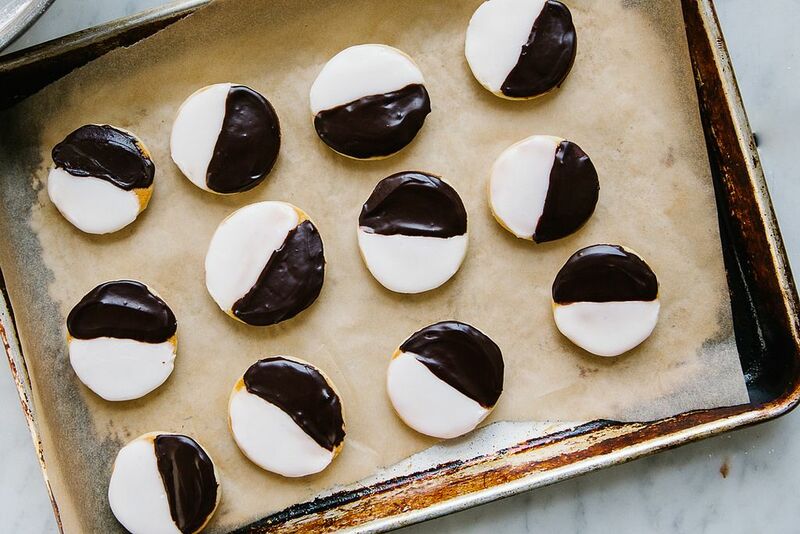 There are a couple of bakeries in New York that have great black and white cookies, but they are the kind of thing just asking to be made at home and enjoyed super fresh. For this version, I started with a buttermilk-enriched batter for the base, then topped the cookies with fondant-style icing made with confectioner's sugar. I kept the flavors classic, just simple chocolate and vanilla, but if you’d like to change it up, you can add a little orange zest to the chocolate icing or some maple flavoring or vanilla bean specks to the white icing. Five inches of cookie is usually a bit too much for me, so I went ahead and made these mini-sized. 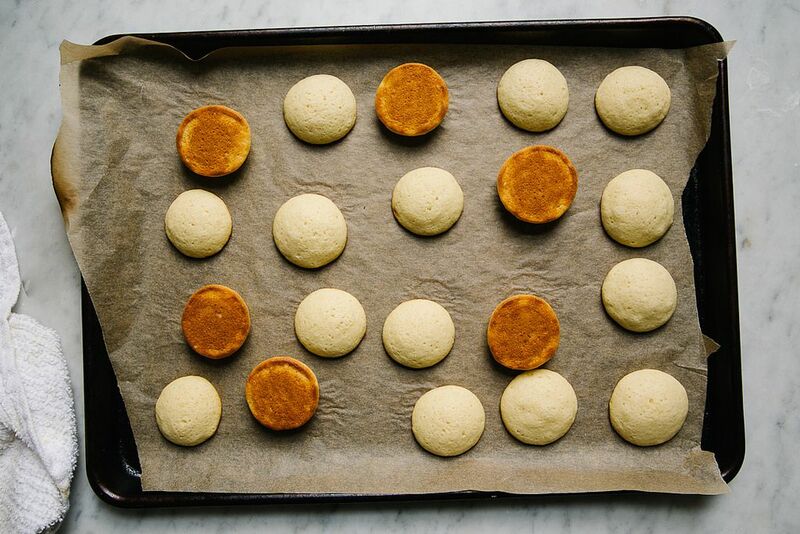 It may seem a little fussy to ice such small cookies, but once you get into a rhythm, it’s a breeze. 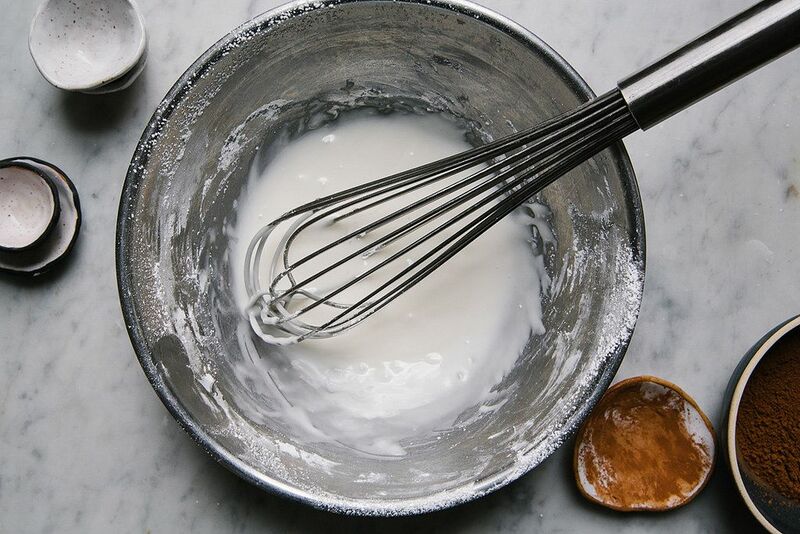 In a small bowl, whisk the flour, baking soda and salt together. 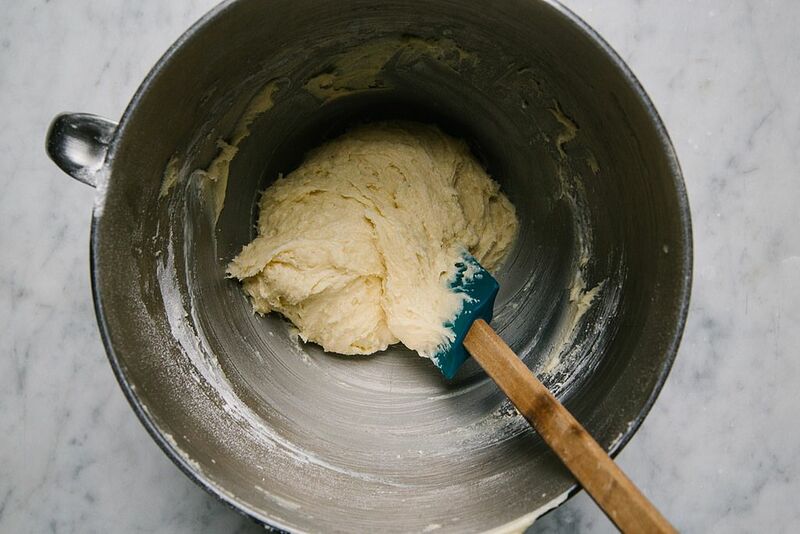 In the bowl of a stand mixer beat the butter and sugar until creamy. Add in the vanilla extract and egg and mix until well combined. Scrape down the bowl. Alternately add in the flour mixture and buttermilk in 3 additions. Mix until just combined. 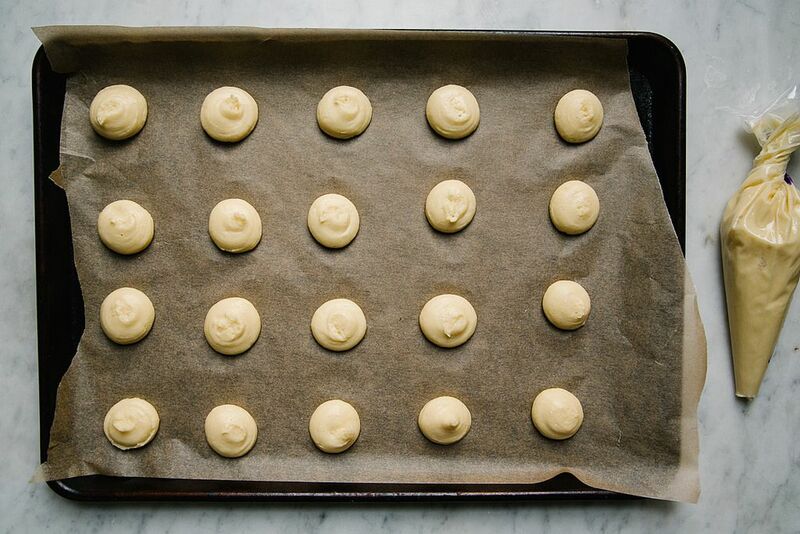 Use a one tablespoon measure (or pastry bag) to portion the cookies 1 inch apart onto the baking sheets. Bake the cookies for 6 to 8 minutes, or until the tops spring back when pressed gently and the cookies are a light golden brown around the edges. Cool completely. While the cookies cool, prepare the icing by whisking the confectioner’s sugar, corn syrup, lemon juice, vanilla, salt, and water together until very smooth. 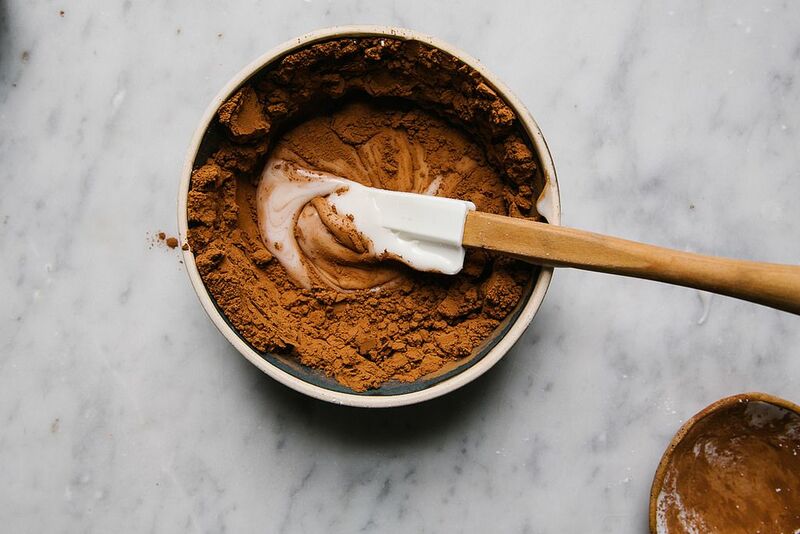 Remove half of the mixture to another bowl and whisk in the espresso powder and cocoa powder until very smooth. Add a few drops of water to the chocolate icing until it is a spreadable consistency. The icing should be thin enough that it is spreads easily, but it shouldn't be runny. If it seems dry, add more water a half teaspoon at a time; if it is runny, add confectioner’s sugar 1 tablespoon at a time. Flip the cooled cookies so their flat sides are up. Use an offset spatula or knife to spread vanilla icing on half of the cookies, then spread chocolate icing on the other half. Let the icing set for a few minutes, then dig in. Store the leftover cookies in an airtight container at room temperature for up to two days. Is the cocoa powder unsweetened? I am unfamiliar with this. These were a huge hit at my cookie exchange. Easy, reliable recipe! I ate an awful lot of these growing up in a Jewish family that frequented a lot of delicatessens. I love them and am so happy to have a recipe that seems easy to follow! thank you! the white icing is even more"authentic" with a drop of almond extract. What can I sub for the espresso powder, and if I don't use corn syrup, what will the icing be like? 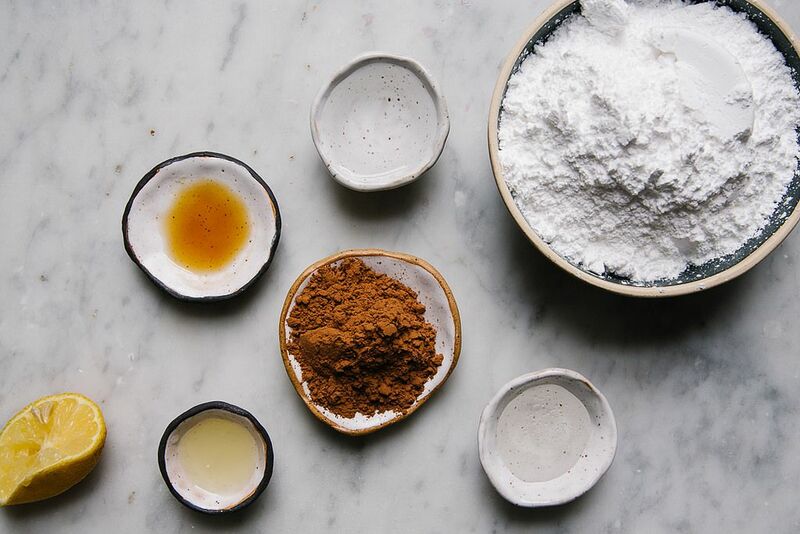 If there's any way to find out where to buy those lovely bowls that are holding the ingredients, I'd be very happy! Hey Amanda, I actually made them myself in a ceramics class but I bet you could find something similar in Provisions. Wow, nice work, they're gorgeous! I'll see what I can find in Provisions. Thanks! ok that is GENIUS that you pipe the batter out of a piping bag. 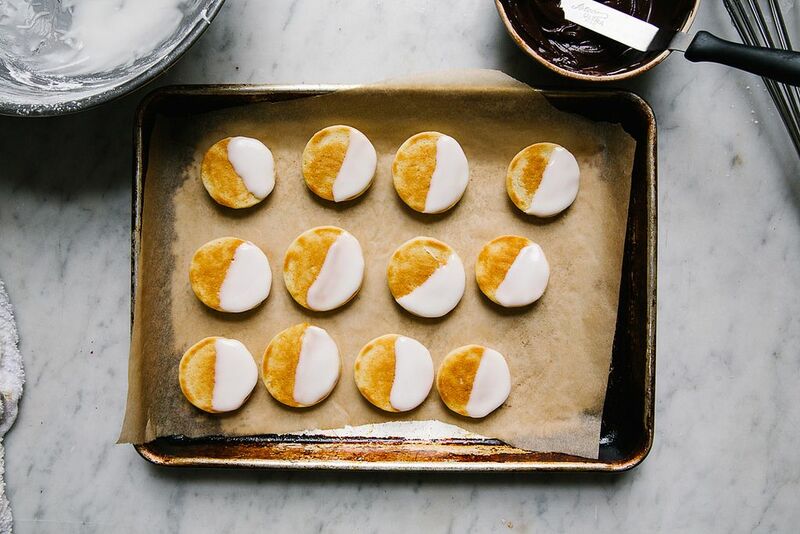 i have made black and white cookies before and have been so frustrated with the oblong shape! next time i am taking your lead. yayyy!